The most common New Year’s resolution, especially for women, is to lose all the weight you gained during the holidays, but why wait till after the season to start? People continuously neglect to join the gym even after they make these resolutions so why keep putting it off? Why not start that diet or workout routine before you carve that turkey so you’ll be the envy of everyone at the table. You’ll first want to start off right by getting the tools you need. Before even thinking about getting your own set of dumbbells or Stairmaster, you’ll need the basic first. Think athletic shoes, yoga pants, running shorts, sports bras and other workout apparel you will need. Sure you could do without most of those, with the exception of the shoes, but think girls, how much more motivated are you when you look good or after you get done shopping? Put that motivation to good use and buy something productive. If you want to look cute at the gym or while you are jogging then get a pair of cute shoes and matching athletic apparel, whatever it takes to get you out there and doing what you need to do. One great place to shop for athletic wear is Zappos.com where you can use coupon codes to get an ever better deal. Now that you’re dressed to impress you need to figure out what you’re really trying to work towards. 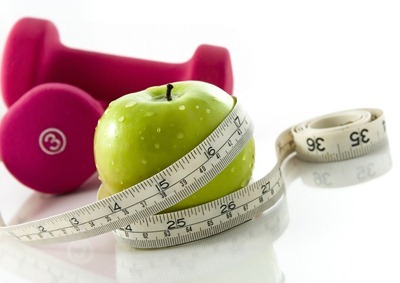 Have you set a goal weight or are you just trying to get more fit and active. Do you know which areas you want to tone up such as your arms, legs or stomach? Has there been anything that has sparked your interest at the gym such as specific classes like kickboxing or yoga? Find out what exactly you want to do with your body and how you plan to do it is very important. Take the list of the areas you want to improve and compare it to the classes you’ve found or the types of physical activities that you enjoy. Do any of them line up? If yes, then you have a starting point and if not, keep looking! Remember that many classes don’t focus on just one area; classes like Tae Kwon Do require you to work out your arms, legs and core. Now that you’re starting to hit the gym and doing workouts that you chose, it’s time to change your eating. Many people don’t realize that you don’t need to make a complete 180 in the food you consume unless you’re eating McDonald’s every day. Simple substitutes can make the world of difference such as adding in more water and less soda, healthier snacks such a trail mix and fruits instead of chips and so on. If you love ice cream you don’t need to cut that out of your diet, but you also don’t need to eat it every day or with hot fudge, whipped cream and sprinkles on it either. Motivate yourself to eat healthy during the week so you can reward yourself on Saturday night with a delicious slice of pizza. Keeping yourself motivated is the key to losing weight and keeping it off so remember to set them up and have them worth the effort.